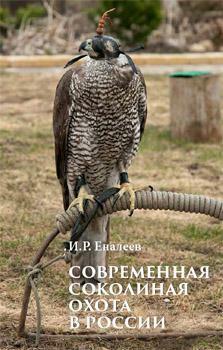 The first chapters of the book deal with the stages of revival of falconry in the USSR and modern Russia. The main part of the book is devoted to a detailed description of the ecology of birds of prey, peculiarities of their maintenance in captivity and preparation for falconry. The book tells in detail about the falconry ammunition that has not changed for centuries. It describes the most common diseases of birds of prey. Chapter 1. Modern falconry in Russia: history and modern problems. 5. Chapter 2. Falconers' meertings on hunting base "Barsyuchok" under the aegis of St triphon Foundation. 10. Chapter 3. Hunting birds of prey (ecology and application in falconry) Goshawk. 24.